If you are a parent and you’ve made the difficult decision to separate, most likely your overriding concern is how will it affect the kids? And how are you going to tell them? As parents we naturally want to protect our children from pain and suffering. This is an incredibly stressful time in your life and is extremely upsetting for both you and your children. Whilst you can’t control how you feel, you can make a positive decision to deal with it in a way that will help your children adjust to the separation in a positive way. When a child hears about their parents’ separation or divorce, they often assume that they did something wrong and that it is somehow their fault. Studies show that what children most need to hear during this time is that their parents will always love them; that things might actually get better if the fighting goes away and that they will still have two loving parents in their life. Sitting down and telling the kids is one of the hardest, most heartbreaking parts of splitting up. They are scared, confused and upset and will look to you for reassurance that everything will be alright in the end. It’s always best if you can both tell the children together. They need to know that even though family life is going to look very different, you will both continue to love them, take care of them and protect them. They really need to hear that it was nothing that they did and that nobody thinks that they caused the separation. Tell them how much you both love them and that this will never ever change. Before you have this conversation with your children, it’s really important to have a clear picture of what life is going to look like for them. In an ideal situation, you will work out what the co-parenting schedule will look like so that you can help them understand what their living arrangements are going to be. This doesn’t have to be the same schedule forever, but it’s helpful for kids to adjust if they know when they are going to see each parent and where they are going to sleep. This is very comforting for them. Make sure you address any concerns they may have about their friends, school, activities, toys and belongings. Make sure your children know that it’s good to talk about their feelings and encourage them to express it in whatever way they need to – it’s OK to be mad! There are lots of practical ways that you can help your children adjust to the separation. Structure is extremely important during the transition period. As much as you can, keeping a daily routine, school, activities and regular play dates can really help children to adapt. Children thrive in a stable, predictable routine so if you can keep as much consistency as possible, your kids will feel more secure. Most importantly, try not to argue or fight with the other parent in front of the children. One of the few benefits children can clearly understand about parents separating is that they won’t have to listen to their parents fighting all the time. Studies show that it is in the best interests of the child to have a close, loving and ongoing relationship with both parents whenever possible. Recent research shows that this can significantly improve their chances of coming through the divorce just fine without any long-term emotional, social or academic problems. It also means children don’t have to worry about choosing sides or worrying about why the other parent does not love them enough to be in their life anymore. A great place to start when trying to sort out your parenting time is to set up a parenting plan. This will outline your parenting arrangements and the decisions you have made about caring for the children. This includes things like how you plan to communicate with the other parent, how each parent will spend time with the children and how you agree to make important decisions about how you are going to raise your children. Children do best when parents can establish a co-operative and respectful relationship. But it can be extremely difficult for parents to transition to this new type of relationship and leave behind all the hurt and resentment they are feeling. So how do you move from an intimate, spousal relationship to a business like relationship, focused clearly on your children? The first step is to separate your former role as partner from your ongoing role as parent. Even though the relationship is ending, you will be parents together forever. You need to establish new boundaries with your former partner and focus solely on your children’s needs. It’s really helpful if you can focus on your successes as parents and the things you have done well together. You can then use these strengths as a foundation from which to build upon. Treat your co- parent as your business partner – where the business is raising healthy, happy children. When communicating with your co-parent, strive to keep things business-like, purposeful and child-focused. coparently helps you to communicate in a clear, professional manner and put your children first. Children benefit from parents who minimize conflict post separation. By reducing conflict and mitigating misinterpretation and emotion, coparently helps parents to more easily make the transition to a business like relationship. In fact, parents involved in a qualitative study conducted by the University of Missouri1 effectively can make co-parenting easier, which in turn places less stress on the children. 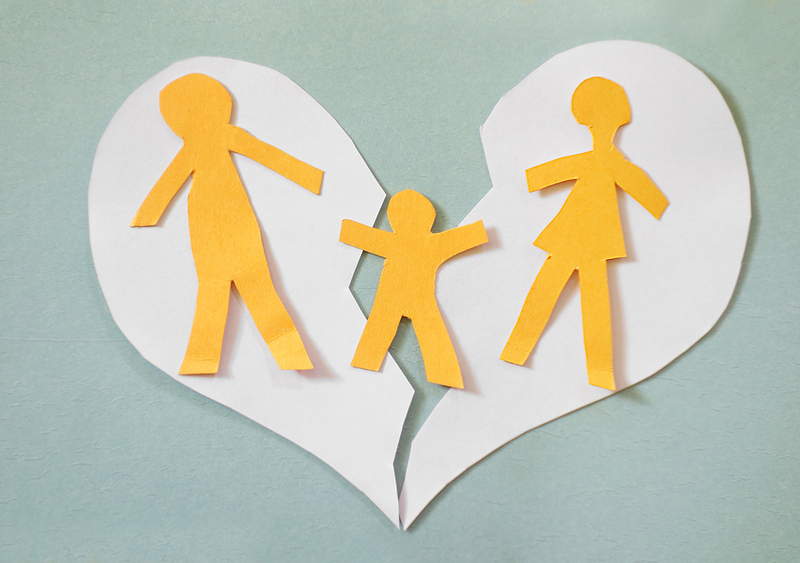 Divorce changes families but does not end your commitment to your children. This is a confusing and emotional time fore everyone involved. Make sure you take the time to find the solution that work best for your family and, as business partners, make the investment needed to ensure a positive outcome for your children. 1 Communication Technology and Post divorce Coparenting.